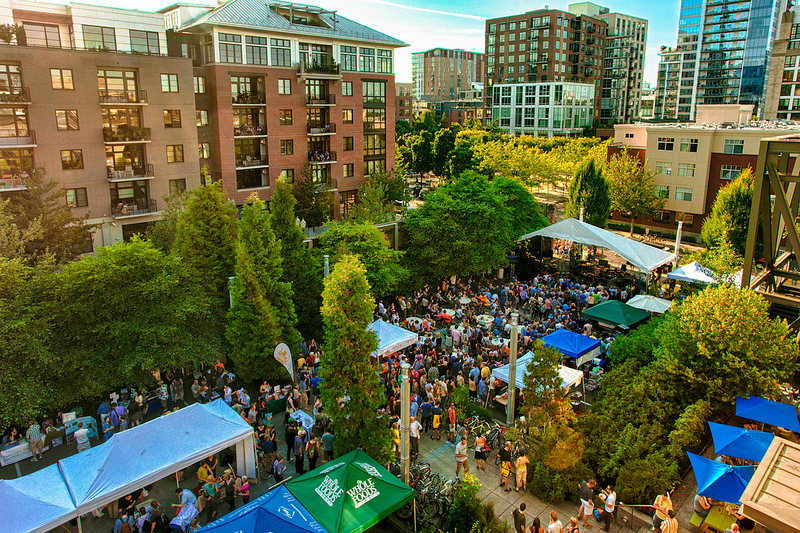 Editor's Note: We’re preparing to heat up July evenings with our fourth edition of the Sundown at Ecotrust Concert Series, hosted right here at our Natural Capital Center in the Pearl District. These free outdoor concerts celebrate the intersection of music, green living, and community wellbeing. Musical performances will be complemented by an Innovation Showcase of over 40 organizations. 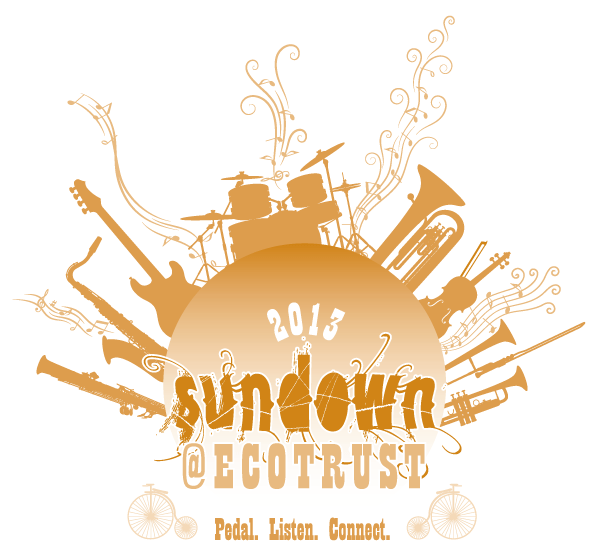 One PacificCoast Bank and Ecotrust are excited to welcome Onuinu with Adventure Galley Wednesday evening (July 10) as we kick off the 2013 Sundown series with style. Join us from 5:30pm-8:30pm for some rocking tunes and to learn more about the night’s theme of Protecting WATER. The “Sundown Kid’s Corner” hosted by PDX Kids Calendar, will have art and educational activities to keep the little rockers happy. Cold frothy beverages and tasty local fare will be provided by Hot Lips Pizza, Laughing Planet, and Coconut Bliss. Described as a farmers market of ideas, our street fair-style exhibition features an inspiring array of nonprofits, businesses, government agencies, and educational institutions who are delivering inventive solutions within conservation and environmentally-responsible enterprises. Bike commuters will be rewarded with a free bike valet on-site. Good music, good food, and good company…join the party on July 10! One PacificCoast Bank grew from the vision of Taylor and Tom Steyer to create a triple bottom-line bank and a supportive nonprofit foundation. In 2007, OneCalifornia Bank and OneCalifornia Foundation opened in Oakland. The Bank is mandated to produce meaningful social justice and environmental benefits at the same time that it is financially sustainable. The Foundation owns all of the economic rights of the bank—when profits of the bank are distributed, they can only be distributed to the Foundation, which is mandated to reinvest those proceeds back into the communities and the environment on which we all depend. In December 2010, OneCalifornia bank acquired ShoreBank Pacific (which was co-founded by Ecotrust) and changed its name to One PacificCoast Bank. The merger greatly expanded the Bank’s reach on the West Coast, and enhanced its capacity to serve its mission. ShoreBank Pacific, a pioneer of environmentally sustainable banking, began operations in 1997 in Ilwaco, Washington, at the mouth of the Columbia River, and grew to establish offices in Portland and Seattle. Joining forces with OneCalifornia Bank produced an enlarged footprint covering a bio-regional territory within Salmon Nation and united the forces of social justice and ecological banking.